Come see us up on the hill! 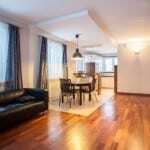 Instead of replacing your damaged hardwood floors in Asheville, NC, bring in our professionals for hardwood refinishing. Hardwood Finishing in Asheville – As you walk across hardwood flooring every day and place furniture on top of it, you may notice that over time, it will start to look less appealing than it did when you first had it installed. Instead of replacing the hardwood, which is an expensive process, you can simply bring in a professional for hardwood finishing. This involves sanding the floor and using a fresh coat of stain or gloss to help restore it and make it look like new again. When you choose a stain, make sure to compare it with other furniture and wood pieces in your home. Most stain colors are fairly neutral, but a very dark floor may not look as good in a home with a classic style, since this is a modern look. You should also consider the durability of the stain or gloss coating. High-traffic areas or rooms where you might cause damage to the floor, such as kitchens, may need a thicker coating to keep it protected. If you aren’t sure what steps to take for hardwood finishing, give us a call at Wright’s Carpet to talk about options. We have experience with hardwood and all other types of flooring, so we are happy to schedule an in-home consultation or chat with you in our showroom. We are available to those in Asheville, North Carolina and the surrounding area. Our team members will also provide free quotes, so you can consider the options before you make your decision. At Wright’s Carpet we offer quality hardwood finishing for customers in Asheville, Swannanoa, Hendersonville and the surrounding areas of North Carolina! Visit the Wright’s Carpet showroom today to see our wide selection of carpet, hardwood, vinyl, ceramic tile, laminate and area rugs. We also offer in-home consultations to help you choose the perfect flooring for your Asheville, NC home. Financing is available! 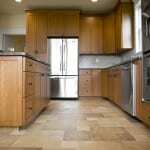 Contact us today for a free flooring quote! Excellent customer service! My husband and I are building a house so we needed carpet and hardwood, which is not an easy decision. Matthew there is absolutely fantastic!!! He was really flexible about meeting with us and even helped us with picking everything out. Save BIG on High-Quality Hardwood Flooring! Special Sale on Solid Hickory, Maple, Birch, and Black Walnut. Contact us to get an estimate! Don’t miss out on this special, exclusive deal for all Mission Health employees!